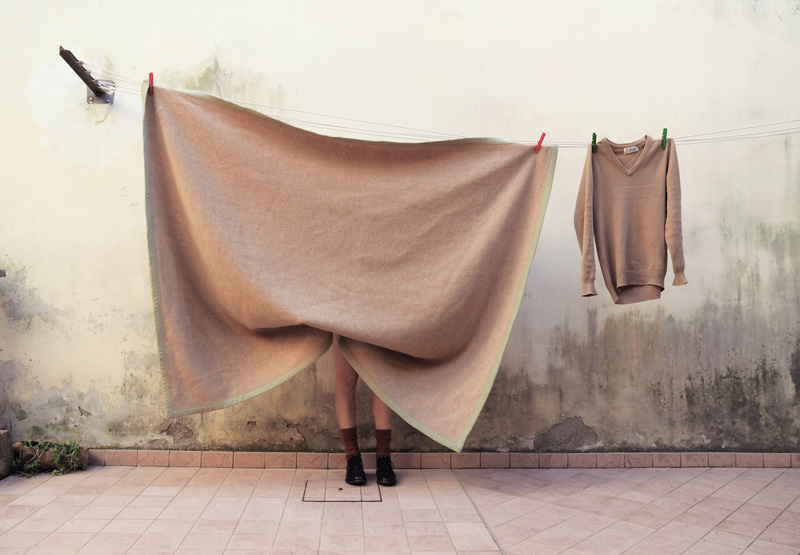 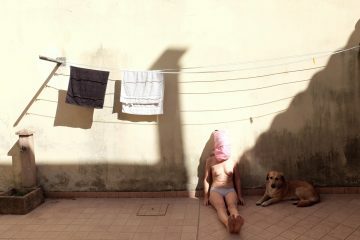 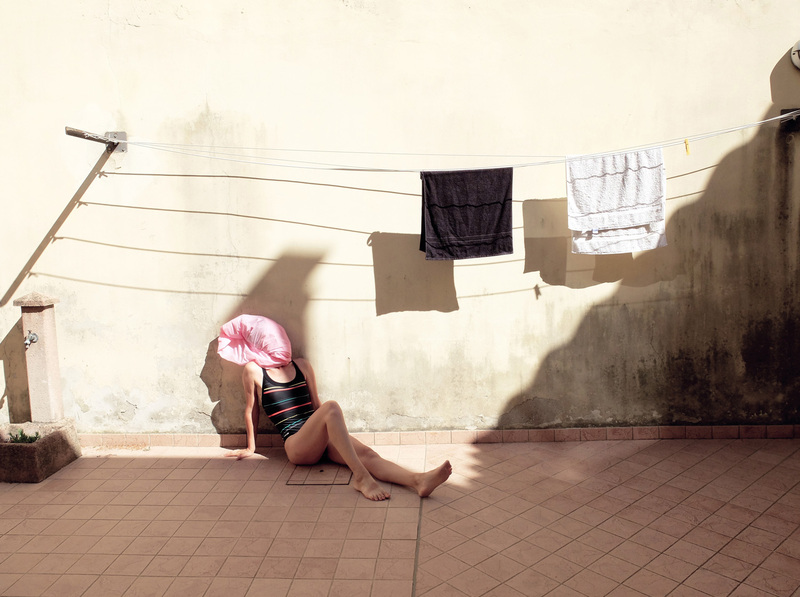 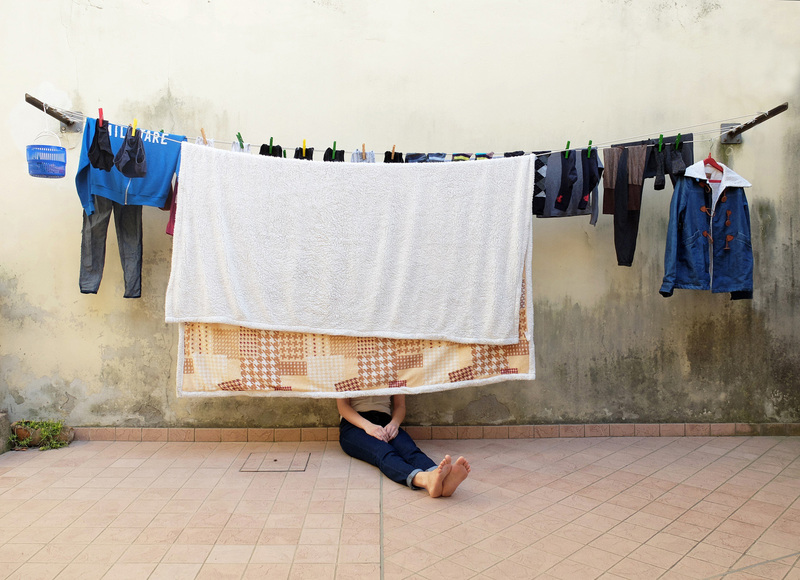 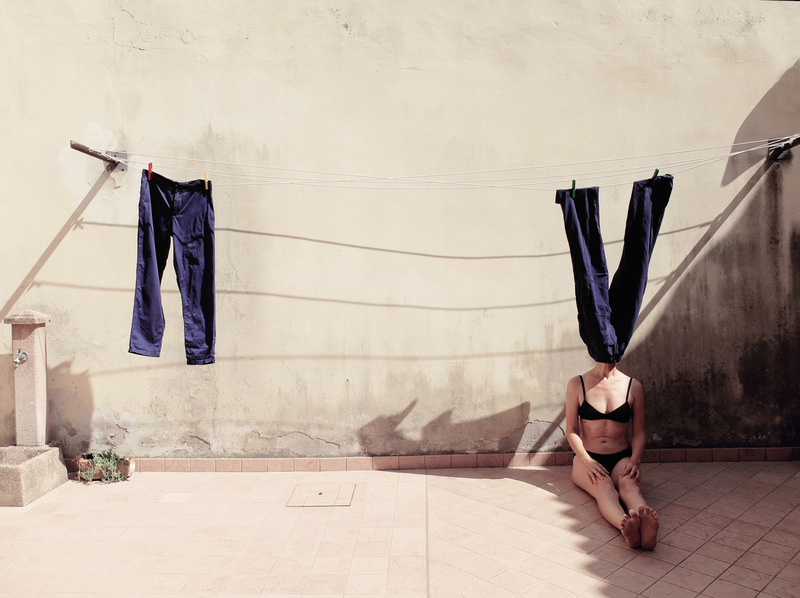 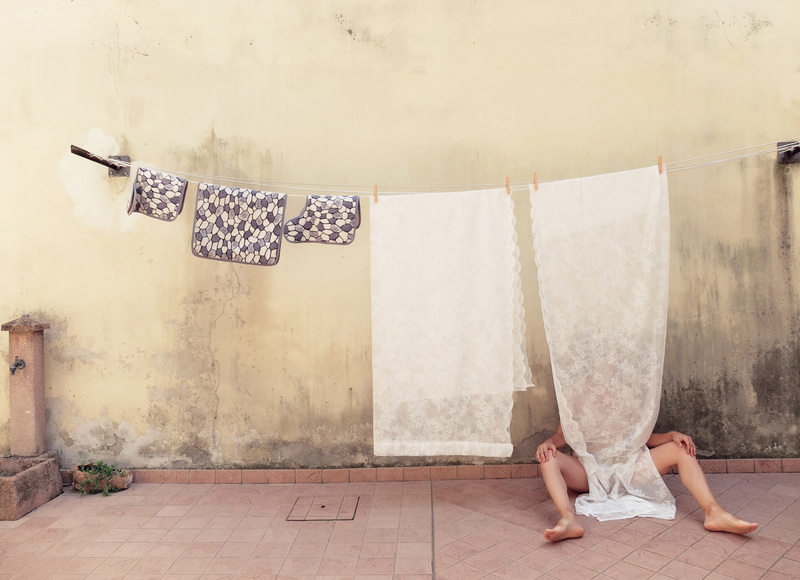 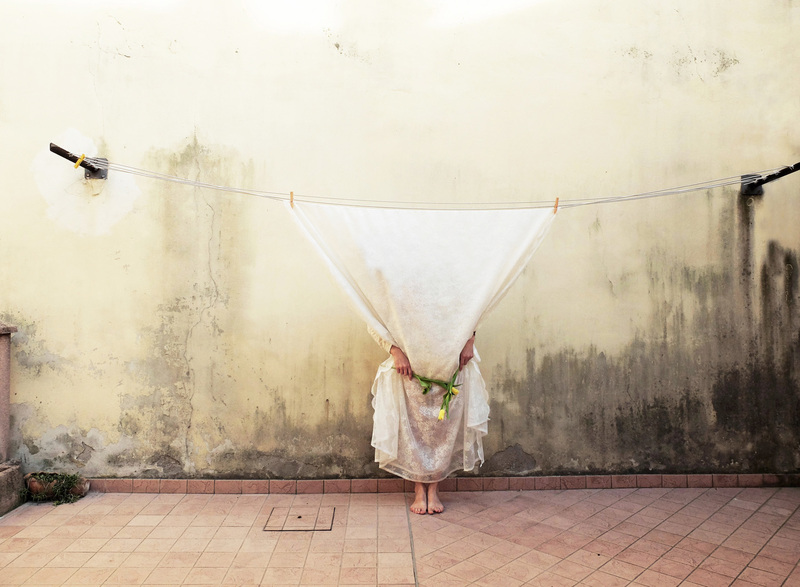 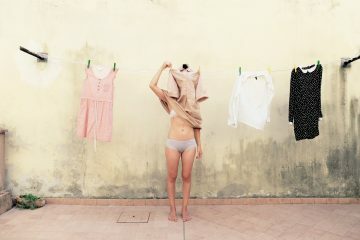 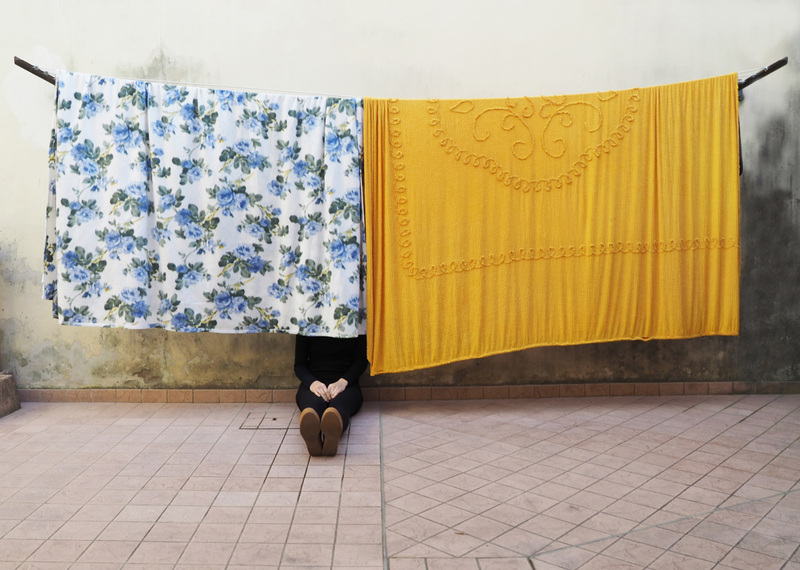 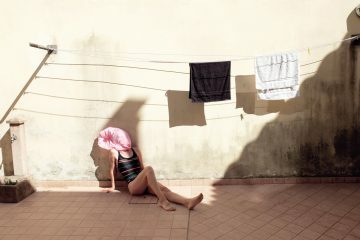 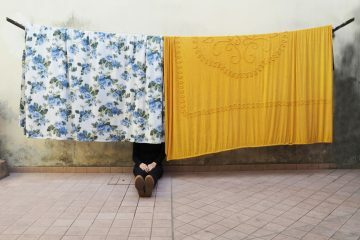 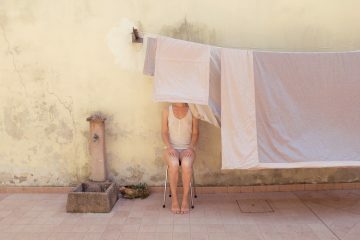 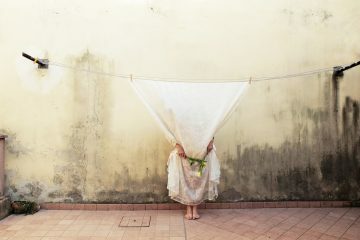 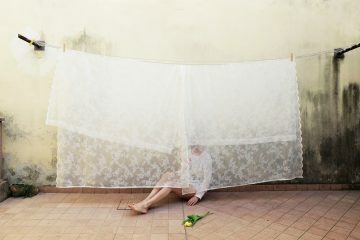 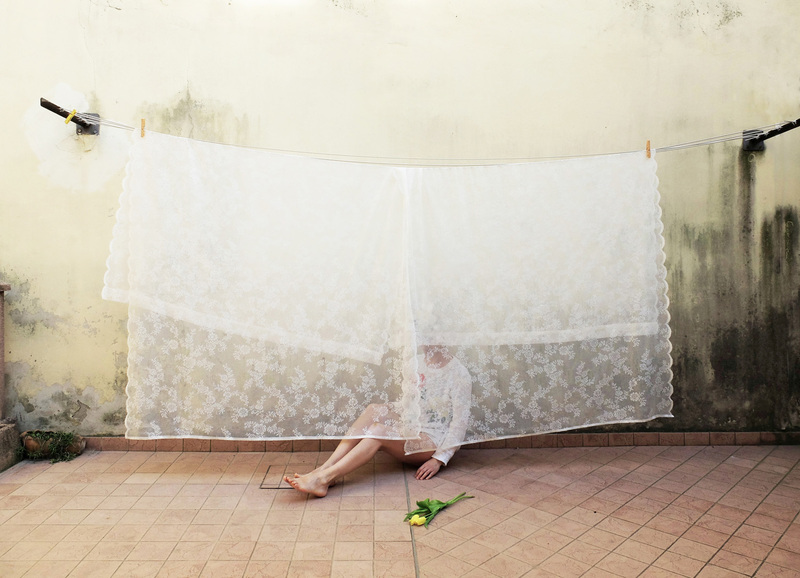 The series ‘Bucato’ by Sandra Lazzarini is a collection of self-portraits during the days of laundry. 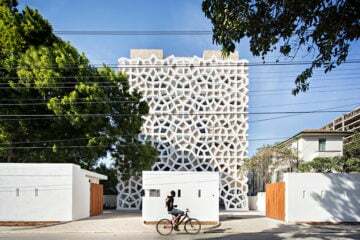 Shirts, blankets and pants become an ideal place to hide and these hanging clothes merge with a slim body that seems to look for a sensual touch. 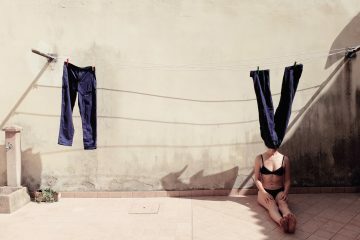 All this represents the perfect frame of a normal day.